Wedding Sermon for Zach Oedewaldt and Amber Watson: "United"
Some things are better together than by themselves. Chocolate and Peanut butter. Beer and pizza. Coffee and Donuts. However good these things are separately, they’re even better together. But it’s not just food. Westley and Princess Buttercup. 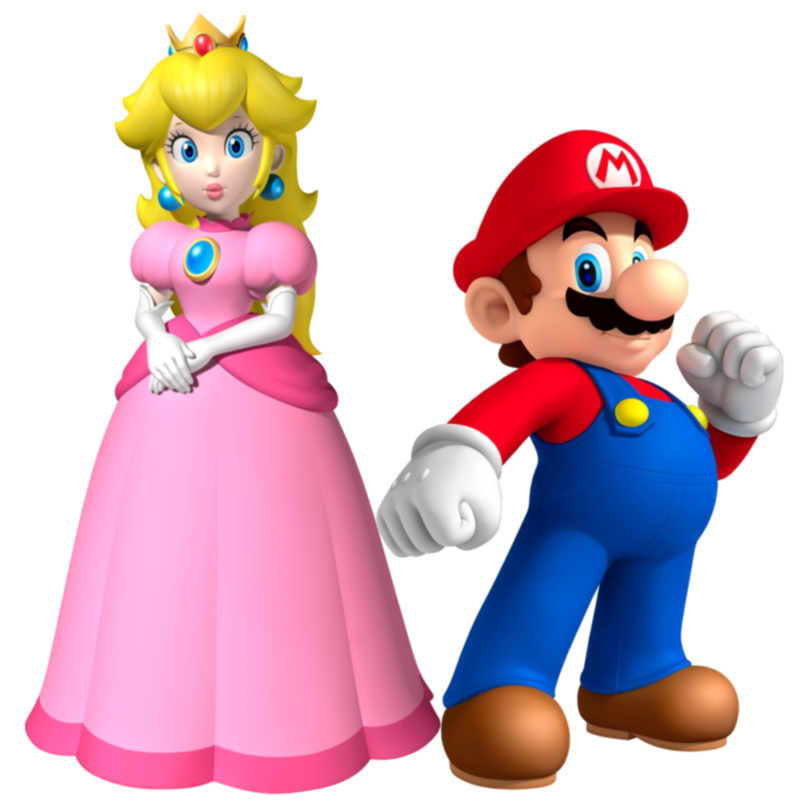 Mario and Princess Peach. Han Solo and Princess Leia. Some people are better together than alone. It’s true in reality as well. In Genesis the Lord declares the sun, moon, and stars; air, sea, and land; fish, birds, and animals– all to be good. Then the Lord formed Adam from the dust of the earth. Yet there was one thing God declared not good. So God did what he does best: he joined people together by his grace. I will make him a helper fit for him. A companion for Adam, from Adam’s flesh – and all while he was sleeping. Adam did nothing to deserve Eve. Now there’s a great picture of marriage. Zach and Amber, this how God works for you too – by grace. God gives you to one another to love, serve, raise a family, and joy and companionship. It’s not good for you to be alone. 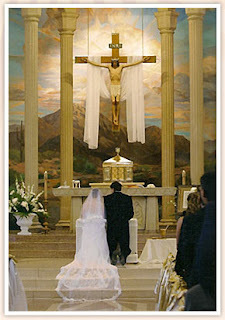 And so in marriage, Jesus’ love abides with you, for you are united by his cross. 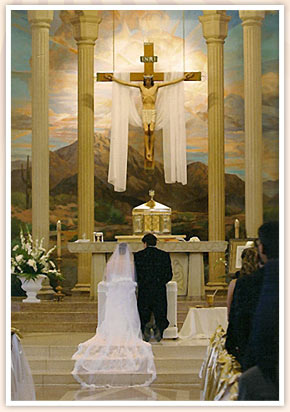 There’s the crux of marriage: Jesus crucified for you. Without Christ, you’re alone, no matter how happy you are together. But in Christ, you’re never alone, not in poverty or richness, not in sickness or health, not even when death parts you. Jesus’ love abides with you. You are united in his cross. God’s gift of earthly marriage is also a picture of a far greater, heavenly marriage with Christ. 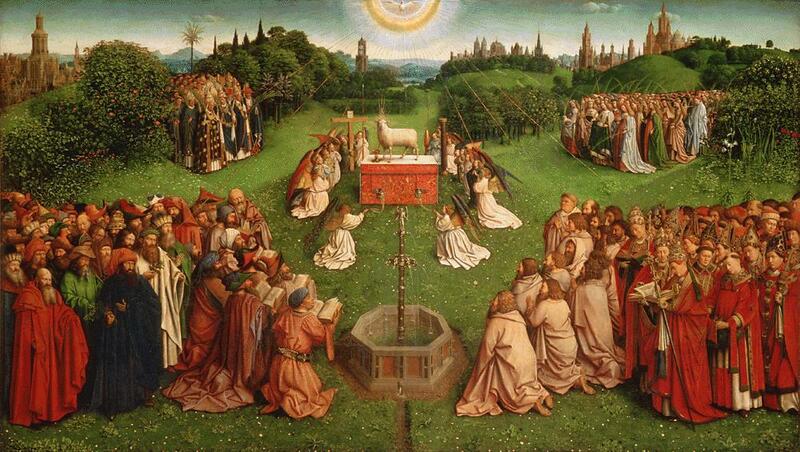 As we celebrate with Zach and Amber at their wedding feast, we also see a glimpse of the marriage supper of the Lamb. And blessed are you who are invited to the marriage supper of the Lamb. As handsome and beautifully dressed as Zach is and Amber are today, Jesus gives us a more glorious garment. For you, the Bridegroom was stripped, beaten, and crucified to clothe you in fine linens of righteousness. In Holy Baptism Jesus covers us with wedding garments of salvation. You’re holy and pure as Christ himself. And as strong as Zach and Amber’s love is for one another, love won’t sustain us; rather, God’s love in Christ abides in us and through us. We love because Jesus first loved us. Christ is the Vine; we the branches. Christ is our second Adam; we are his Eve, given life from his flesh. Out of Adam’s side, God took a rib and made Eve and brought her to him. This at last is bone of my bones and flesh of my flesh; she shall be called Woman, because she was taken out of Man. So it is for Zach and Amber. Today you God unites you as one flesh. God does the same for all who are in Christ. For Go saw that it was not good for us to be alone in our sin. God did what he does best: joined people together by grace. He sent Jesus, who is bone of our bone and flesh of our flesh, to live, suffer, and die for you. Just as Eve was taken out of Adam’s side, so too, God makes for himself a bride – you, his church – from the pierced side of Jesus. He forms you in the stream of living water and holy precious blood poured out by Jesus for you. Jesus’ love abides with you. You are united in Jesus’ cross. And so your love for one another isn’t found in dresses, flowers, or a fantastic reception – though these are all good things. No. Love is rubbing Amber’s feet after a long day of teaching. Love is pouring Zach a cold Sculpin IPA as you discuss plans for the future. Love is receiving Jesus’ body and blood for your forgiveness Sunday after Sunday. Love is putting each other’s needs ahead of your own. Love is in all the messy details of life. Love is found in the greatest love of all – Jesus crucified for you. Greater love has no man than this, that Jesus lay down his life for sinners, to make us his friends. Jesus’ love abides with you. His cross covers you, covers your sin today, and all the days of your marriage. Today, God does what he does best: joins people together by grace. Zach, you’re the Mario to this Princess Peach; defend her from all the Bowsers in the world just as Christ gave himself up for the Church. Amber, you’re the Princess Buttercup to this Westley; love and cherish him as Christ first loved you – by grace. Indeed, some people are better together than alone. It’s true for Zach and Amber today. And it’s true for all of us in Christ. Jesus’ love abides with you, and you are united by his cross. God grant you his peace, joy and blessing in your life together. Sermon for Last Sunday of the Church Year: "Stewards at the World's End"
Today marks the end of another church year. The hymns, prayers, and Scriptures all point us to the Last Day. The Day of the Lord. Jesus’ second Advent in glory. So also, when you see these things taking place, you know that he is near, at the very gates. What things? Earthquakes. Famine. Wars and rumors of war. Persecution. False teachers. The disciples saw it all during their life time, and so do we: terror in Paris, Kenya, and Beirut, wars in our streets and against the unborn, and persecution of the faithful throughout the world. These are the birth pains. We are looking forward to a new heaven and a new earth, the home of righteousness. And so Jesus prepares us as he prepared the disciples to continually watch for his return; to live in ready, eager expectation for his coming; to stay awake while the sirens of this fallen world try to lull us into spiritual sleep. For you do not know when the Lord of the house will come, in the evening, or at midnight, or when the rooster crows, or in the morning— lest he come suddenly and find you asleep. And what I say to you I say to all: Stay awake. Today is also the day our congregation has set aside to remember our life of Christian stewardship. And usually we think, “Oh great, here goes pastor with the holy car sales man routine.” But stewardship is much more than money. In fact, it’s not first and foremost about what you do, but who you are in Christ. Like the servants in Jesus’ end times parable, we’re given charge of possessions, skills, and wisdom that are not our own. Everything in life is a gift, from our brain cells to our dollar bills. We give in response, not for reward. We give freely because Christ has set us free by his cross. We’re motivated then, not by the Law, but by the power of Christ Crucified, the Chief Steward, who though he was rich, yet for our sakes became poor, so that we, by his poverty might be made rich. That means every day is Stewardship day. Daily, we are forgiven by Christ, and free to serve the neighbor in our vocation, not just one Sunday a year. Stewardship Sunday and the Last Sunday of the Church year, come together in a word…gathering. The Last Day is a day of gathering. Jesus sends his angels to gather his chosen people – you and all the baptized – from all creation. Our life of stewardship is also one of gathering. Though it’s entirely different from the ways of the world. The world gathers, hoards, and stores earthly possessions for the sake of power, wealth, and security. The Christian is called to gather for the sake of humility, vocation, and service. Stewardship is about gathering, but not for ourselves. Don’t misunderstand this though; we each have our vocation in the home, church, and our communities. God provides us daily bread out of pure fatherly divine goodness, without any merit or worthiness in us. That’s why we pray the Lord’s Prayer, that God would lead us to see all we have in this life as gift, and to receive it with thanksgiving. You see, stewardship begins with the Gospel. We give freely because Christ has set us free from sin and death. 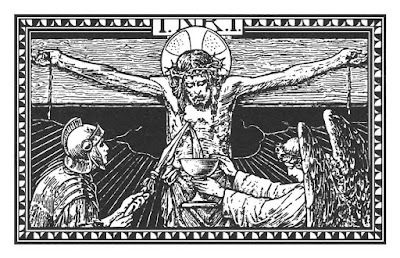 Jesus ransomed us from sin and death – not with gold or silver – but with his holy precious blood, and his innocent suffering and death, so that we live under him in his kingdom and serve him, not for reward, but in response to his great love. St. Paul called giving an act of grace in 2 Corinthians. We give as we’ve been given to, freely by the blood of Jesus. That means that our earthly possessions, skill, wisdom, our vocations –all exist for the sake of the Gospel and the love of our neighbor. God made language to communicate his Word and promises to us. So that we could hear, read, mark, learn, and inwardly digest his promises: Jesus was born, lived, suffered, died, and rose for you. God gives trees so we have a church building to gather in, a font to baptize in, an altar to gather around, a pulpit and lectern to hear Jesus’ Word; and paper on which we read, sing, and hold the Scriptures. God gives us water for bodily life as well as eternal life. Jesus takes the same water we use for our bath or shower, adds his word and promise to it, and makes it a holy washing away of sin and a lavish flood of forgiveness. And God gives the fruits of the earth, grapes and wheat, sanctifies them, and feeds us with Jesus’ holy body and blood. In Gods wisdom, these created things serve his eternal promises. Which words are those? Jesus’ promise to come again. Jesus is at the very doors. And yet it’s easy to be lethargic or fall asleep on the watch. How then do we live? As if today is the Last Day. For we know not the day nor the hour. Live as the free, baptized forgiven children of God that you are. Be active in love to those around us, even our enemies. Do not be afraid to give a reason for the hope that is within us in these gray and latter days. Be faithful stewards of the earthly possessions God gives you. After all, these our earthly possessions are temporary. Even stewardship is temporary; yet in God’s wisdom, earthly things serve the eternal. Heaven and earth will pass away, but Jesus’ words do not, will not, and cannot pass away. In these Last Days we may be fearful and anxious, but the peace that comes to us in absolution – your sins are forgiven you – will never pass away. Jesus’ end times verdict rings out early today: you’re forgiven, not guilty. Today you are with me in paradise. In these Last Days we may overwhelmed by doubt or despair Christ’s return, but his assurance to you in Baptism washes all that away. In these Last Days we may grow weary of our sinful flesh and a rotten, wicked world, but Jesus’ words will never pass away: Take, eat; this is my body. Take, drink; this is my blood. Given and shed for you for the forgiveness of all your sins. And one day, our fears, illness, anxiety, doubt, death and sin will pass away as well; the former things shall be no more. Today we live in joyful expectation, not fear of judgment; we’ve already been judged in Jesus’ death on the cross. And your verdict is not guilty. Forgiven. Free. Jesus continually watches over his Church, even as we continually watch for Jesus’ return. 'Every year the ladies of Redeemer Lutheran host an Advent by Candlelight tea. 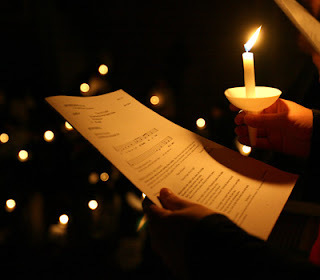 As part of this event, I conclude the evening with a short reflection on the Advent and Christmas seasons, followed by a reading of Luke 2, from the King James, of course! This year's reflection is posted below. Reading. Writing. And arithmetic. The “R’s” we call them. In these disciplines – as in those of music, art, and cooking – we learn as we do in the rest of life, by learning the basics. We learn our 1,2,3’s, then someday, Algebra (well, for some of us anyhow). We study the Small Catechism learning the basics of the Christian faith. We memorize ABC’s and then write, speak, and sing. It’s all rather ordinary if you think about it. Routine in a good way. And that’s a lot how Jesus’ first Advent was too. Ordinary. Humble. Lowly. A young virgin. A feeding trough. A baby boy who is Lord of all. And yet it was, in a word: Simple. Something we could all use a little more of this time of the year. We tend to complicate things. Perhaps you’ve found yourself getting more frazzled about what is or isn’t on a Starbucks cup than what’s being said or left unsaid in your church. Perhaps we’re excited to get out of bed while all sane people are sleeping on Black Friday but struggle to wake up on Sunday morning. Perhaps we find ourselves so busy with the complexities of life this time of year that we forget the simple reason for Advent and Christmas. Well, then, you’ve come to the right place tonight. We sing hymns. We hear the story. A child. A manger. A cross. Born for you. Tonight we go back to the basics with the help of an old familiar friend, the alphabet. Here are ABCs of Advent. A is for Advent; it’s almost here. The angels announce that Christ is near. He came; He comes; He will come again, to save us all from death, hell, and sin. B is for Bethlehem, a town quite small, but from her came the Savior of all. C is for the Christ Child in swaddling clothes, whose manger of wood was exchanged for the cross. D is for David, the great king of old, who looked to Christ as both Son and Lord. E is for Emmanuel, “God with us” has come; to dwell with us, and take us home. F is for Frankincense, a gift of great price, which foretells Jesus’ great sacrifice. G is for the Good News from Gabriel’s voice, a Savior is born! Let all rejoice! H is for Herod, the murderous king, who filled Bethlehem with terror and weeping. I is for the incarnation of our Lord, truly God has kept his Word. And he who for our sins did atone is flesh of our flesh and bone of our bone. J is for Joseph, a righteous man, who believed the Lord’s Word though he didn’t understand. K is for the King of kings, peace, life, salvation and he brings. L is for love, of the Father begotten, sent so that we are never forgotten. God is love, this is true; behold the cross he bore, for me and for you. M is for manger, our paradise wherein rests the boy who lives to save us from sin. N is for Nazareth, a humble city, yet from her will come forth the One called Holy. O is for the O Antiphons, seven ancient songs which show how the Messiah was foretold long ago. Q is for Quirinius, Syria’s governor in that age, when Mary and Joseph set out on pilgrimage. 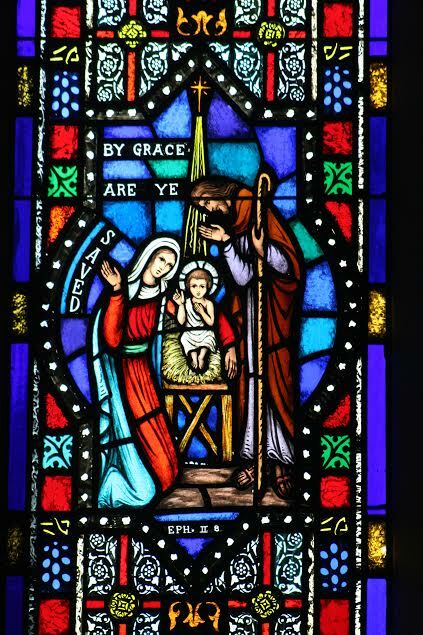 R is for the Redeemer and his birth, whose Advent gives us great joy and mirth. We lift our voice and repent, then rejoice in Jesus’ joyous Advent. S is for the Shepherds who saw angels up high, and who swiftly found the Savior nearby. T is for the tree of Jesse, it’s root and shoot has sprouted great blessing. The ancient prophecy Jesus fulfilled and for us God’s anger has stilled. U is for Us, yes, we’re the reason, it’s true. Christ came for all, for me and for you. V is for the Virgin Mary, who though she was a maiden lowly, God bore unto her a child most holy. And though she first thought the angel’s visit quite odd, we rightly call her the Mother of God. W is for the Wise Men also known as the magi, who were led to our Lord by a star in the sky. X is for Gloria in Excelsis; Glory to God in the highest! Amen! And on earth, peace and goodwill toward men. Y is for Yahweh incarnate, true God and true Man, born in our flesh in accord with God’s plan. And Z is for Zion, the heavenly Jerusalem we long to see, and the place where forever with Christ we will be. Sermon for Pentecost 24: "The Kingdom of Opposites"
Day-school Sunday is always a good reminder that many of the things we know in life – from learning our letters to the Lord’s Prayer - begin in preschool. And one of the greatest ways children learn is through opposites. 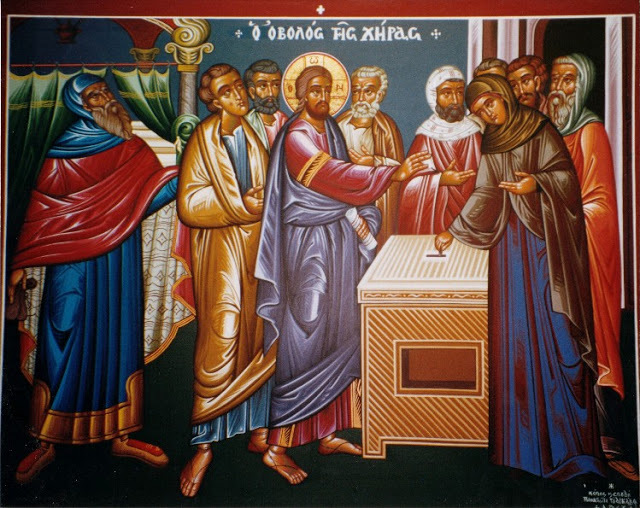 Today’s Gospel reading of the widow in Mark 12 is no different. This poor widow teaches us about opposites too. The widow has nothing. The Scribes have everything. The widow drops two small copper coins in the coffer – all she has to live on, a whisper compared to the Scribes fill the temple courtyard with echoes of clanging coins. The widow, like her offering, is hardly noticed, save only by Jesus. The Scribes love nothing more than to be noticed, to be admired, and recognized. The widow, in the words of St. Paul, has nothing yet possesses everything. The Scribes foolishly think they have everything, yet receive nothing; truly, they have their reward. The widow’s offering reveals her faith in the Lord. The Scribes’ offering reveals their faith in themselves. But there’s more, for in this story we see a glorious picture of the Kingdom of God, a kingdom of opposites. The first are last; the last are first. Jesus comes for the sick, not the healthy. Jesus dwells with sinners, not the righteous. Those who are unimportant and have no status before men, are of the utmost importance have the greatest status before Jesus. In the widow’s poverty, we see the richness of God’s mercy toward us in Jesus. But if this story is only about giving, then we’re on the wrong side. Yes, beware the Scribe in each of us who loves to give, but only when we get something in return, only when we’re noticed, congratulated, or admired. If this widow is an example of giving, we fail to live up it. We don’t give like the widow. Thankfully, the story of the widow’s sacrificial points us to Jesus’ greater sacrifice for you in giving his entire life – all that he has - for you. We also might be tempted to think this story is about the great faith of this woman. Indeed, she is an example of faith, especially compared to the Scribes. And we could twist Scripture here as well: “Have faith like this widow. Believe like she did.” But, saying, “Do this; have this kind of faith,” doesn’t make our faith any better, in fact it does the opposite; we despair. Thankfully, the story of this widow’s faith points us to God’s faithfulness to her and to you. She points us to Jesus’ faithfulness, not her own. This is what the Scribes failed to see, God’s kingdom of opposites. The reversal, that in the Kingdom of God, the little are big, the lost are found, the forgotten are remembered, the poor are rich, the sick are healed, the sinner is forgiven. We may even think this story is about the widow’s great love for God above her own love of self. Her love is sacrificial while the Scribes’ love is self-serving. But once again, the point of this story is not the Scribes lack of love or the widow’s abundant love, but rather the love of God that is never found wanting. And this is good news for us. For the kingdom of God is like this poor widow. The kingdom of God is not found by our eyes, at least not the eyes like the Scribes – in what we see in this world. The kingdom of God is hidden. The kingdom of God is about the last being first, the lost sheep being found and rescued, the tax collectors and sinners having dinner with Jesus, about the ungodly being justified, about you – having nothing to claim on your own, yet possessing everything in Jesus name. For there will be days – and maybe today is one of those - when our faith will not be like the widow’s. We worry. Doubt. Despair. We fail to trust. It can be hard to believe God’s promises when finances are tough, when we or our children, friends, or family fall ill, wrestle with addiction, suffer, or die. It’s hard to believe when times of need and uncertainty come upon us, when we come face to face with the poverty of our own hearts, and the emptiness of the world around us. This widow teaches us to remember that God’s kingdom is opposite of everything we call good. The kingdom of God isn’t found in what we see and think are good according to our sinful flesh. The kingdom of God isn’t found in the amount of money in the offering plate, or the number of people in the pews, or even by looking at our own faith. Rather, on those kinds of doubting, despairing, difficult days, remember that the kingdom of God is hidden right where Jesus promises. Listen to the kingdom of God hidden upon the lips of children singing “Thank the Lord and sing his praise with joyous abandon, and without thought of embarrassment or shame. See the kingdom of God hidden in a quarter size piece of bread and some inexpensive sugary wine, promised by Jesus to be the greatest gift of God placed in the coffer of your mouth on any given day. See the kingdom of God is hidden in the water and word of your Baptism. You are now sons and daughters of the King. 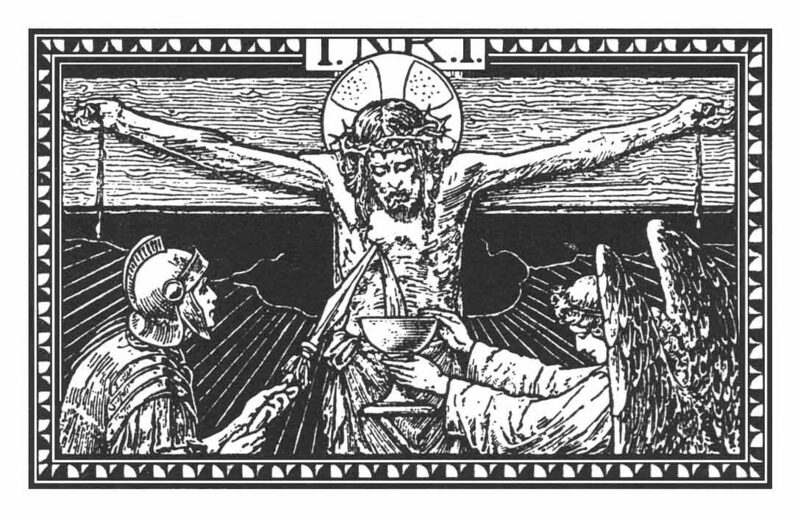 And see the kingdom of God hidden in our humble King, who was enthroned on the tree, who dripped, and poured into the Father’s treasury, not gold, silver, or copper, but his holy precious blood, and his innocent suffering and death, every single drop of it for you. Yes, the kingdom of God is full of opposites. It is hidden in the widow’s copper coins. In the weak made strong by Christ. In the lost being found. In sinners being forgiven. For in the widow’s poverty, we see the richness of Jesus’ mercy, who though he was rich, yet for your sake became poor, so that you by his poverty might become rich. It’s true, our giving may not be as great as the widow’s offering, but God giving himself to die for you is the greatest gift of all. Yes, our faith may be found wanting, but God’s faithfulness to you is never wanting. Our love for others may even be lacking, but God’s love for you never fails. Jesus’ mercy for you will never come up short. Jesus is always faithful to you and for you. Through this poor widow, we learn to see God’s kingdom in the opposites – in the cross, not glory. We join her in poverty, as beggars before the King who fills our poverty with the richness of his own life given and shed for you. It’s not really about the widow’s faith, but the one in whom she has faith. God is faithful. How do you know? Look to the cross where Jesus put in everything he had, all his life, for you. Christ gave his all for you. And God’s love for you in Jesus never fails you. 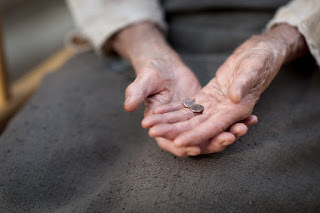 For in the widow’s poverty, we see the richness of Jesus’ mercy for us. Indeed, let us thank the Lord for his steadfast love, for his wondrous works to the children of man.